A Surprise at the Door! Last night my husband and I decided to get coffee (chai for me!) together at Barnes and Nobles. We wanted to just give ourselves a break from everything and just relax and enjoy each others company. We expected to come home and just do our usual evening routine. As I walked to our porch I noticed a package from the post office. I had no idea who it was from or what was inside. When I finally got the package inside I saw that it was from The Smallest Gift. I still wasn’t sure what was inside, but I knew it was something in memory of Hannah (I forget things often since Hannah passed away. Eventually I remember them again). When I opened the package and saw what was inside I instantly remembered! 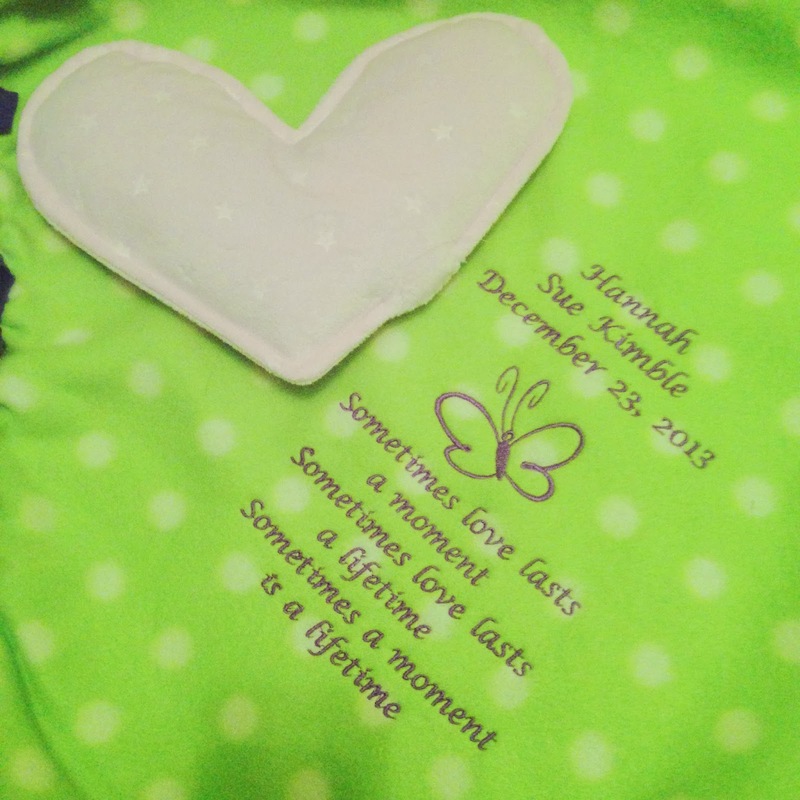 A few weeks ago I requested a personalized baby blanket and a weighted heart in memory of Hannah. I was so happy to see them inside! They are beautiful! I couldn’t wait to show Jason and take pictures of them. I absolutely love holding the heart. The heart weighs exactly what Hannah weighed when she was born, 1lb and 3oz. She was so tiny. I spent the evening with the heart rested on my chest. It’s so nice to “feel” her. We can’t thank The Smallest Gift enough for these wonderful gifts in memory of my Hannah. It is so wonderful that they take the time to do this for families who have lost their babies. « How Do I be a Mother to My Child… When My Only Child is in Heaven?